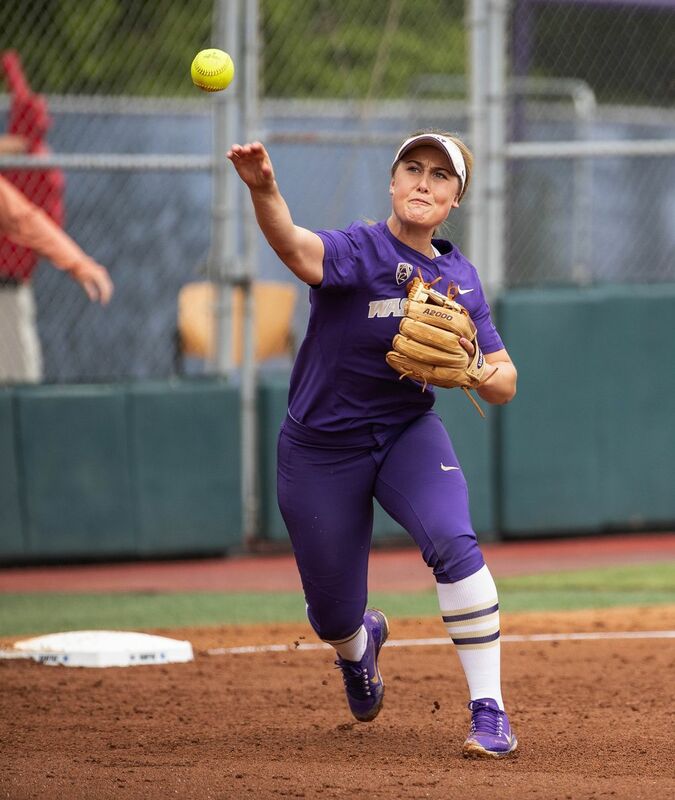 In the rematch of a game that Washington won on the road behind Taran Alvelo’s pitching in February, the Huskies faced off against Texas again Saturday in the second game of the NCAA softball regional. 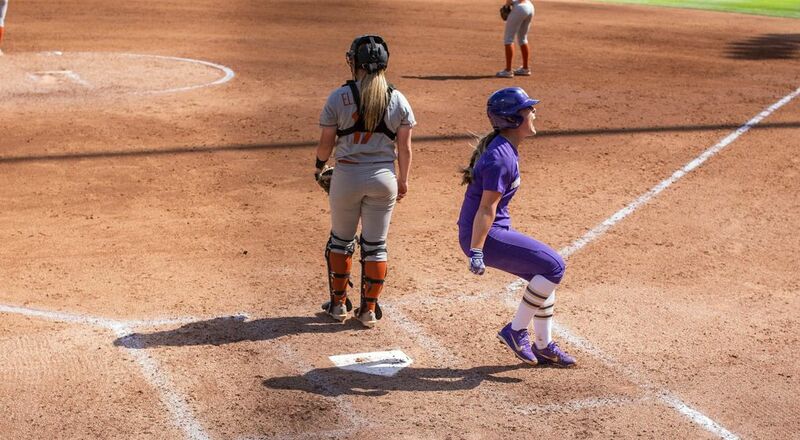 This time, it was freshman Gabbie Plain on the mound against the Longhorns. 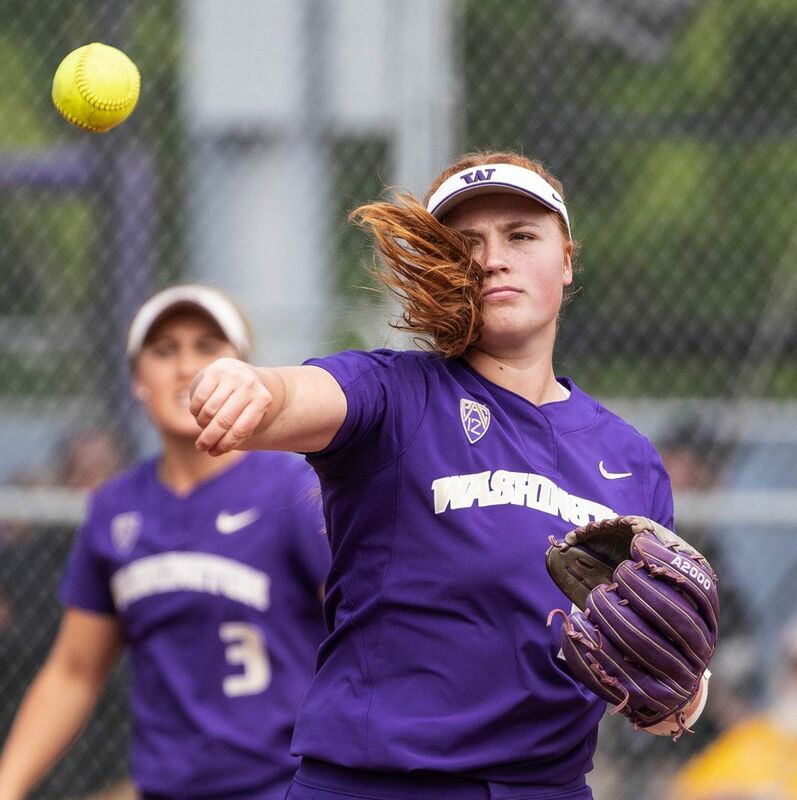 And, just as she had the night before in UW’s 8-0 win over Boise State to open the regional, Plain delivered results, pitching a complete game that included six strikeouts, and allowing only one earned run in seven innings. 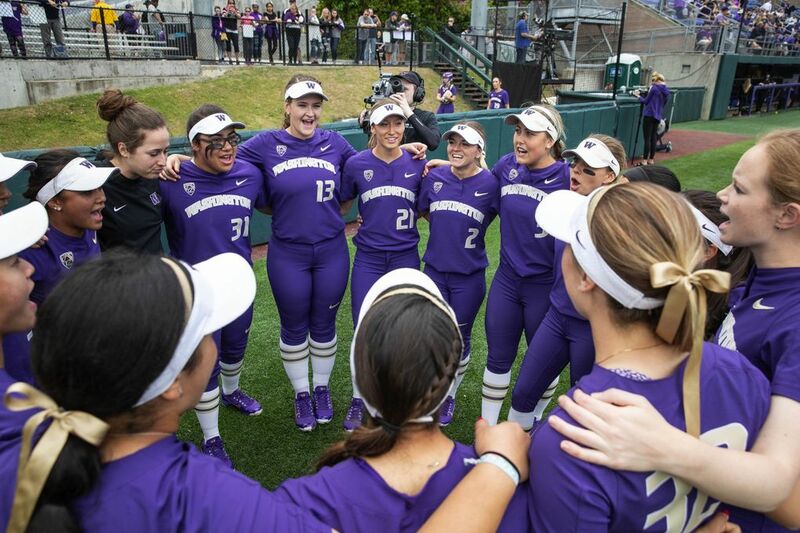 Another 2-1 win for the Huskies (46-8), who advance to the regional final at Husky Softball Stadium on Sunday at 4 p.m. The Huskies will face No. 25 Minnesota (which eliminated Boise State with an 11-3 win, then ousted Texas 3-0) in Sunday’s final. 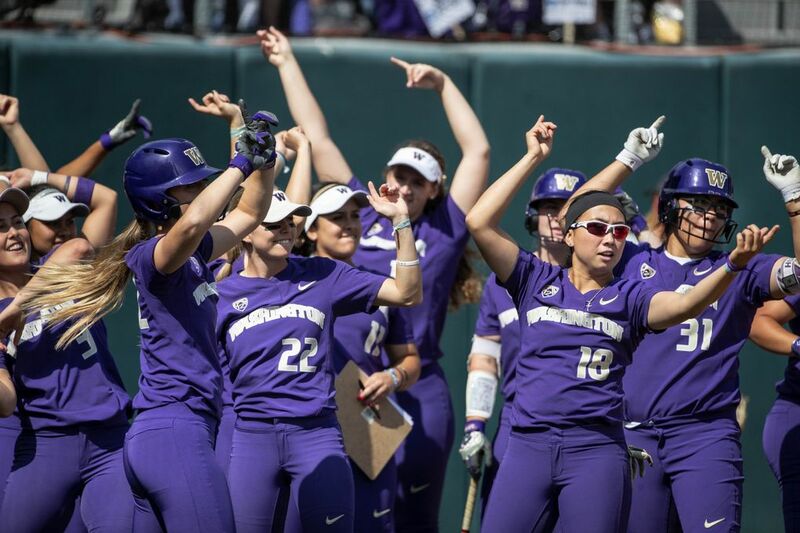 UW has two chances to win one game, meaning if the Huskies lose the 4 p.m. game, the teams will play again with the winner going to the Super Regional. Fifth-ranked UW did not take the lead until late Saturday. 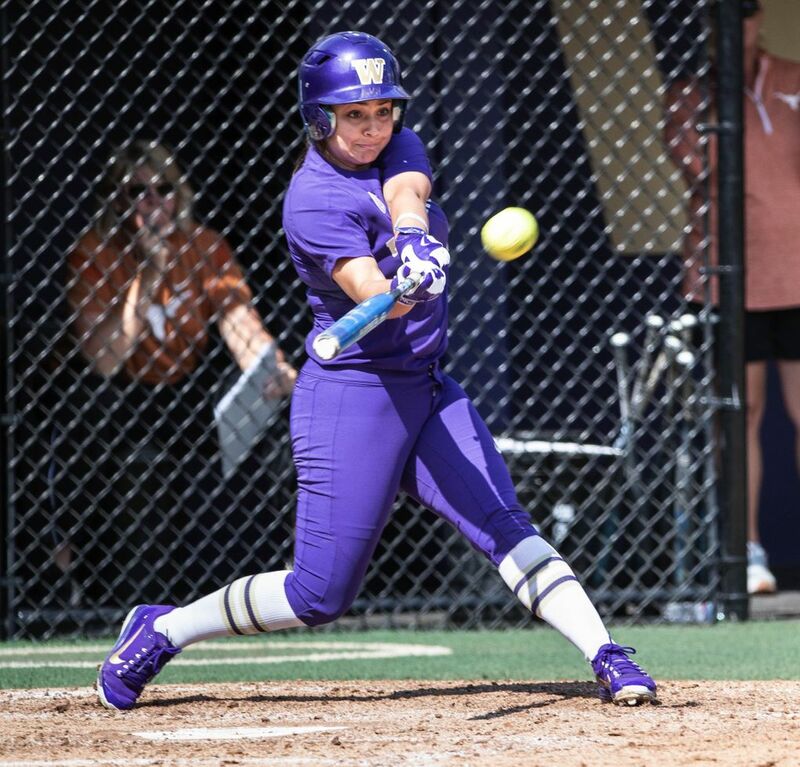 Trailing Texas 1-0 on a frustrating afternoon that saw the Huskies maroon six runners on base through the first four frames, UW’s patience finally paid off in the fifth inning. 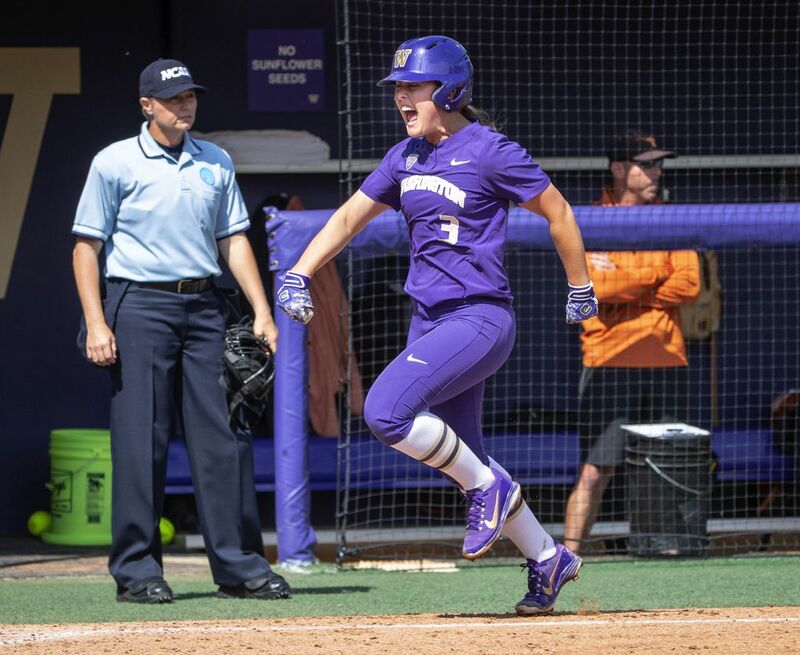 Senior Taylor Van Zee smacked a double to center field to lead off for the Huskies, and Julia DePonte sent her home two batters later with an RBI double that bounced off the center-field wall. 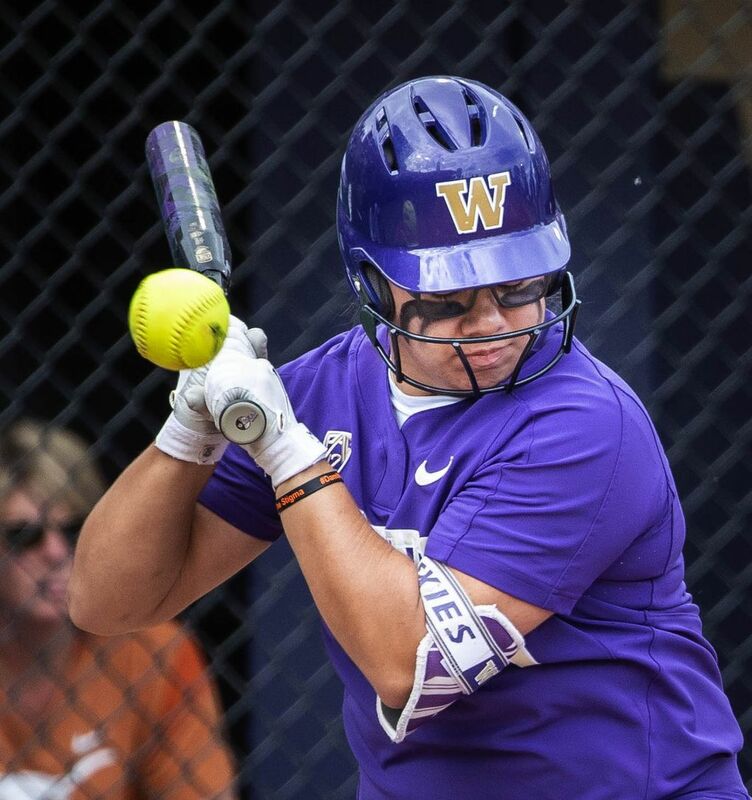 The Huskies replicated that script in the seventh inning when Sis Bates opened the inning by smacking a ball into the right-field wall for a double. 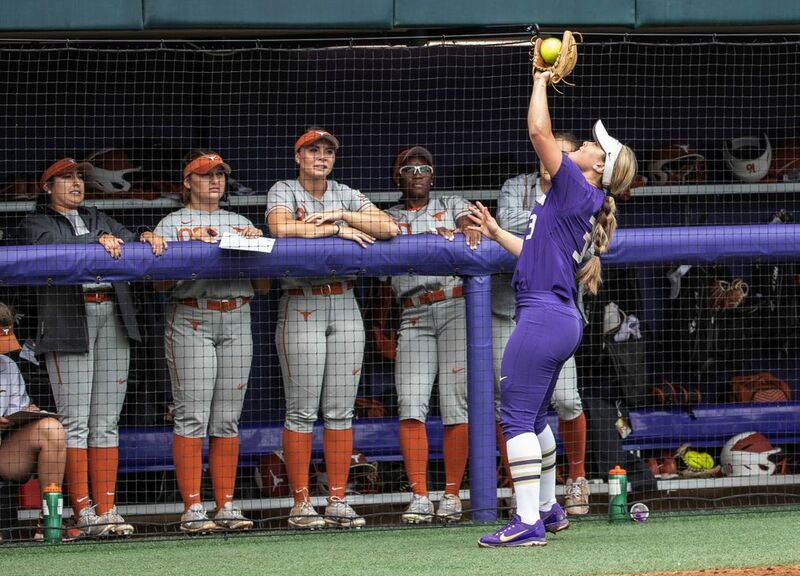 Longhorns relief pitcher Erica Wright struck out DePonte next, but coughed up a second double when Kirstyn Thomas hit a hard first-pitch line drive down the left-field line that scored Bates and held up as the winning run. 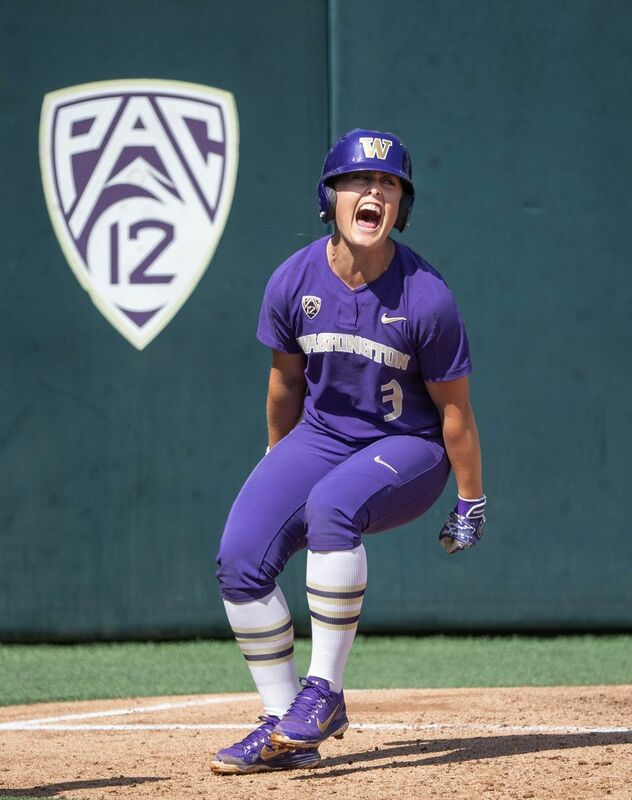 DePonte led UW’s offense, going 2 for 3 with a single and the RBI double. Texas, which upset No. 25 Minnesota on Friday, looked like the more offensive team early in the game. 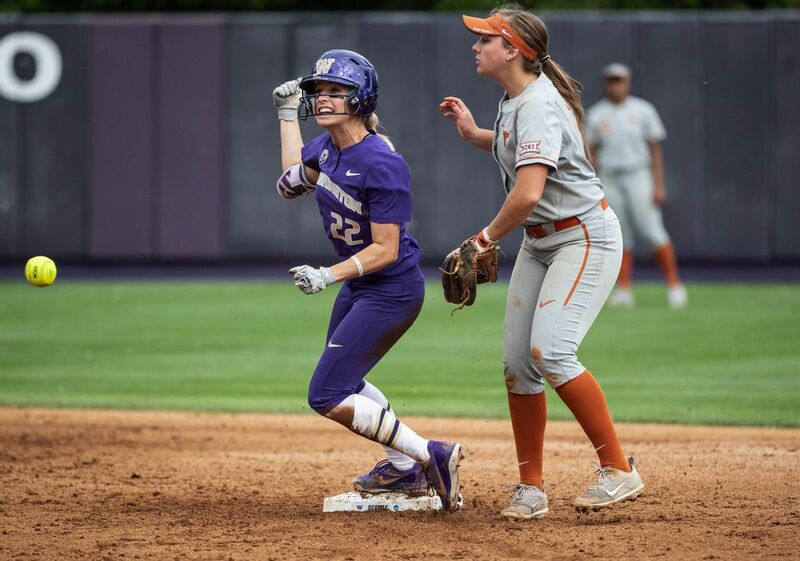 The Longhorns (33-25) got a base hit first – in the opening frame – and scored first, capitalizing on a rare leadoff walk from Plain, in the second inning, to get Malory Schattle on base. 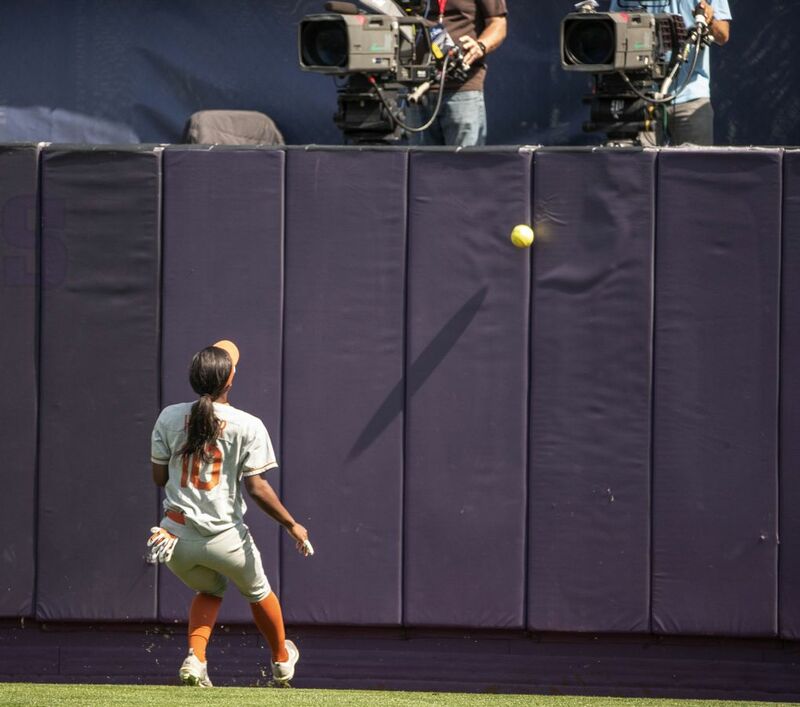 Schattle got to second on a passed ball, and then Kaitlyn Washington, the heroine from Texas’ win over Minnesota, got the Longhorns going with an RBI double to right field that scored Schattle and gave Texas a 1-0 lead. But Plain did not give up a hit in the final five innings. 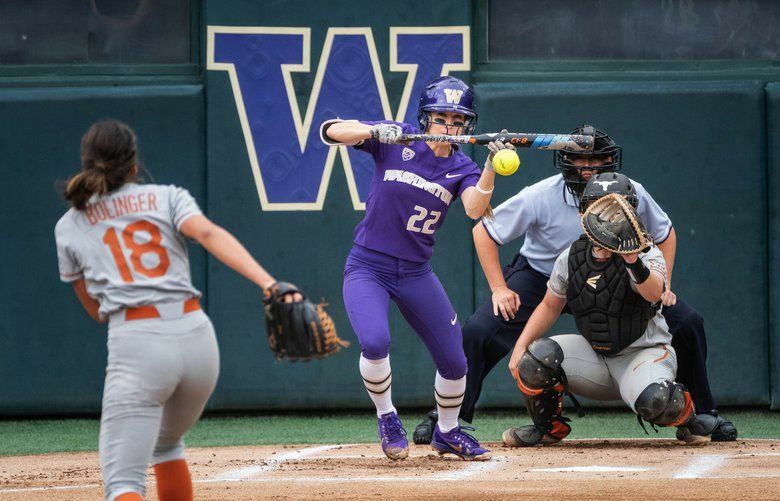 She worked through some long counts against Texas’ patient batters, and the Husky defense bailed her out of trouble on a couple of occasions, though, even they were not perfect. 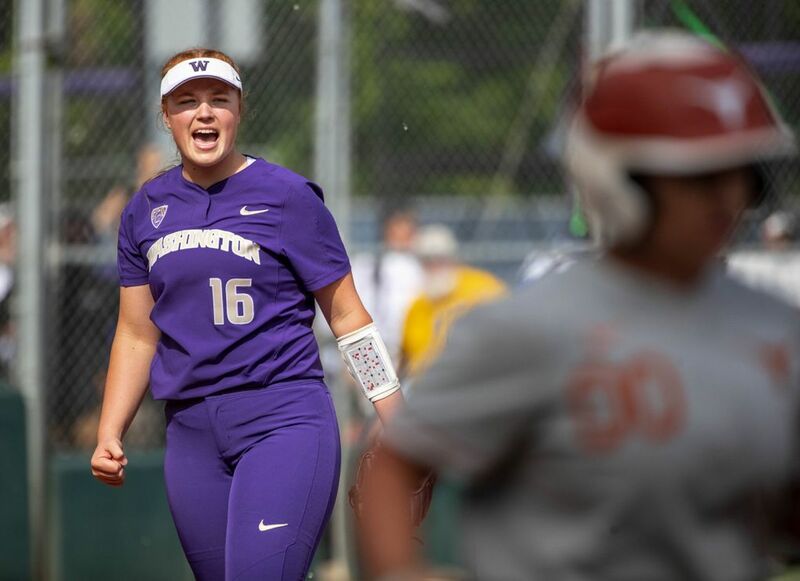 UW allowed two runners on base in the final four innings on fielding errors – which is unusual for a team that entered postseason play ranked fourth nationally with a .981 fielding percentage. 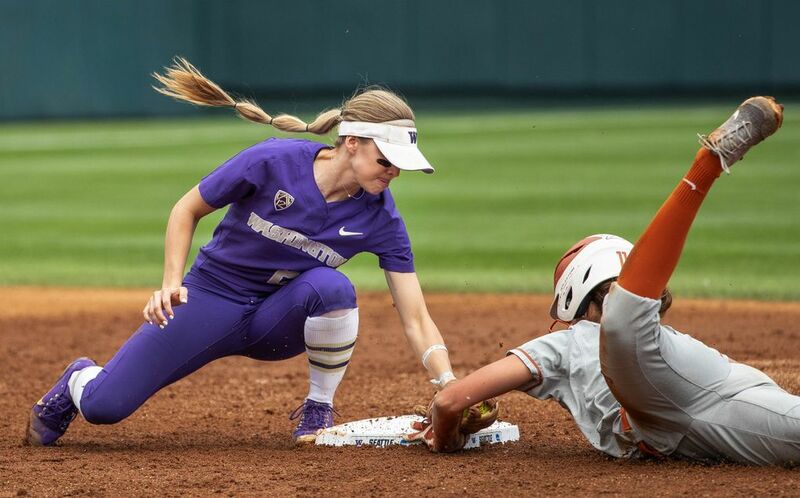 But Thomas, the first baseman, dropped a ball from Taryn Atlee in the fourth that allowed Texas catcher Taylor Ellsworth to get on base, and in the sixth, third baseman Taylor Van Zee overthrew Thomas when fielding a grounder to commit her second error of the season. Sixty-three of Plain’s 99 pitches were strikes, and the freshman All-Pac-12 first teamer improved to 18-4. “She’s ready,” Tarr said of Alvelo. 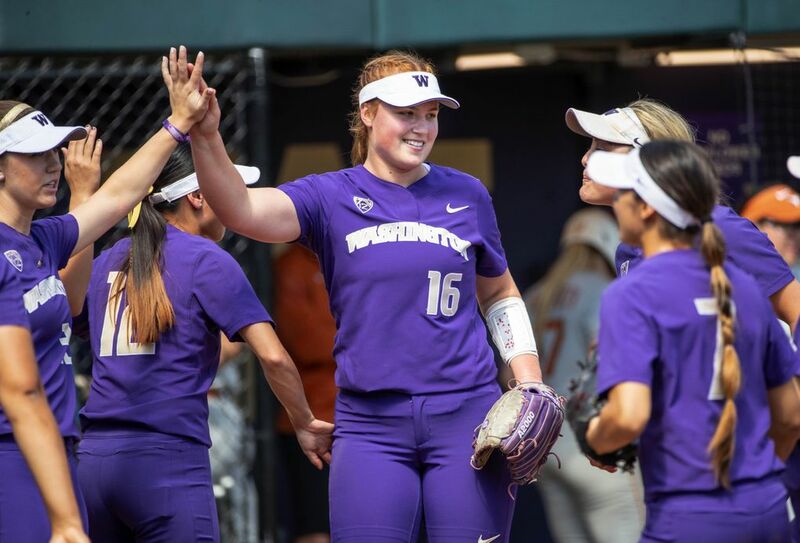 Junior pitcher Brooke Bolinger started the game on a rough note for the Longhorns, walking three of the first four UW batters. But Bolinger worked her way out of trouble several times, and only gave up one earned run in 41/3 innings. Erica Wright relieved Bolinger in the fifth and was charged with the loss after giving up three hits and one earned run.